For the past couple of years, Kia Motors has been working on overhauling its brand image to appeal to luxury and sporty markets. Laugh all you want, but Kia's performance offering has proven many times that it's not to be messed with, and the company's new design language is starting to look pretty sleek, even on its non-performance models. 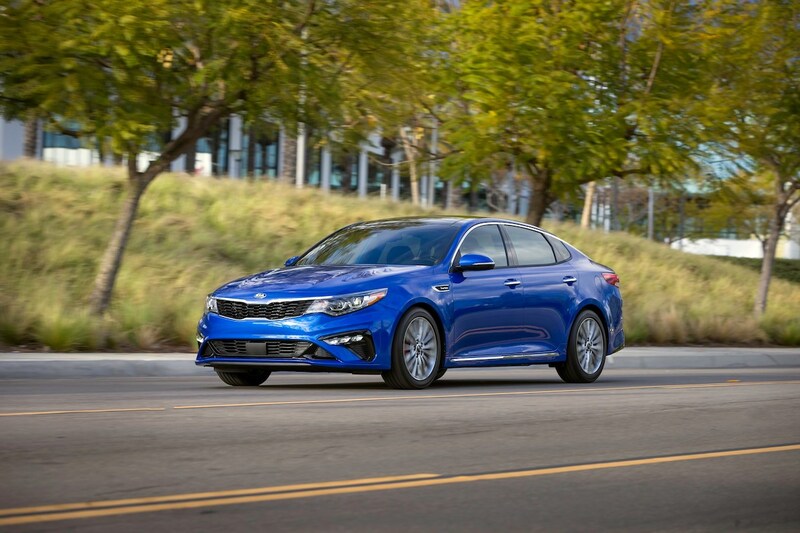 The 2019 Kia Optima midsize sedan is the latest car to receive a makeover, as well as a bunch of fresh technology of course. 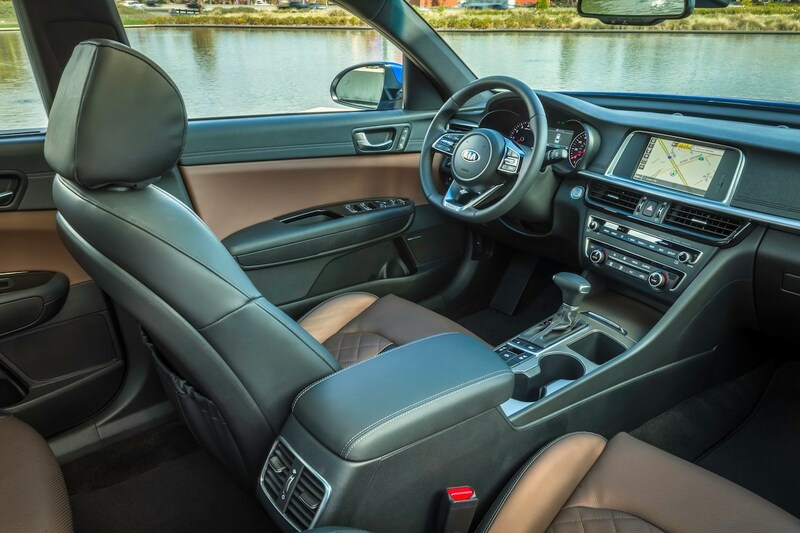 New interior lighting, fresh wheel choices, and the addition of a new Passion Red exterior paint are just some of the many changes the Optima has going for it. Design and feature enhancements to the new Optima are different for each of the car's four trim levels. 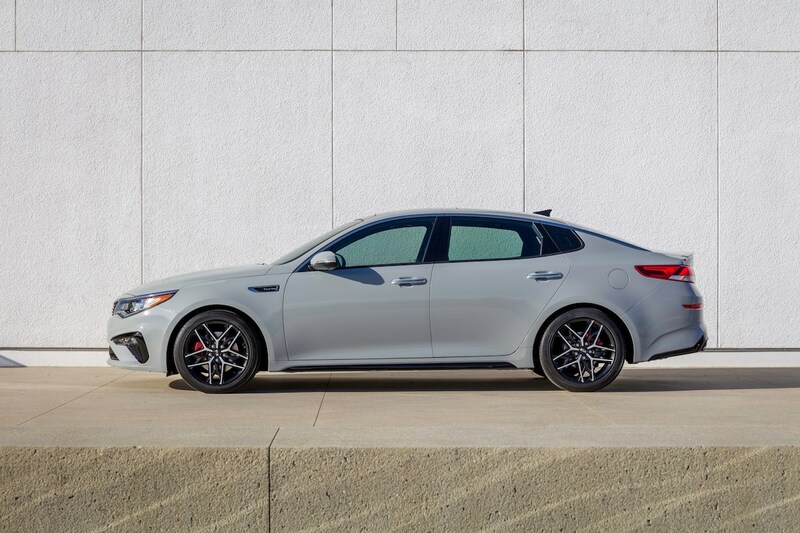 The base model Optima LX for instance gets a new matte gray grill, new 16-inch alloy wheels, and LED daytime running lights reminiscent of those on the Kia Stinger. It also comes standard with Kia's UVO infotainment system with Android Auto/Apple CarPlay integration. 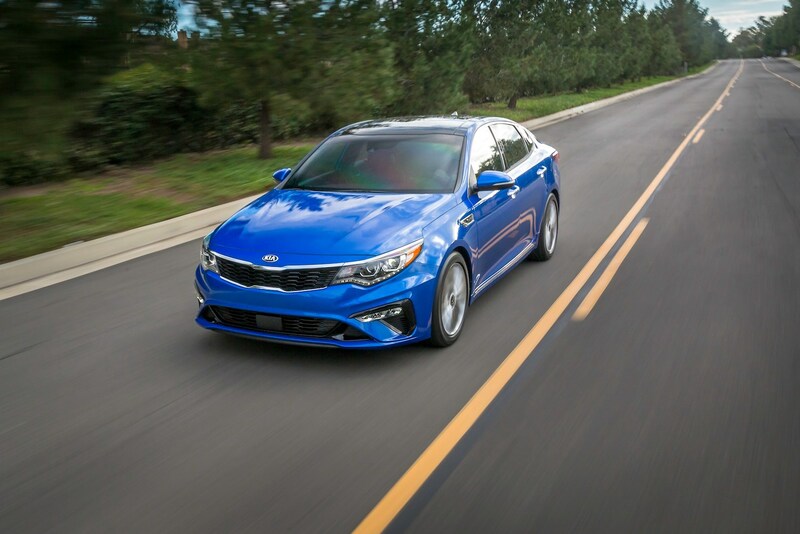 The Optima S is much sportier, receiving dual exhaust exits, more pronounced side skirts, restyled 18-inch wheels, LED tail lights, new gloss black grill, and projection beam fog lights. Kia's EX trim is where the fun begins, sporting a turbocharged 178-horsepower four-cylinder engine mated to a seven-speed dual clutch transmission. This trim receives Smart Cruise Control with stop-and-go capabilities and leather seats as standard. 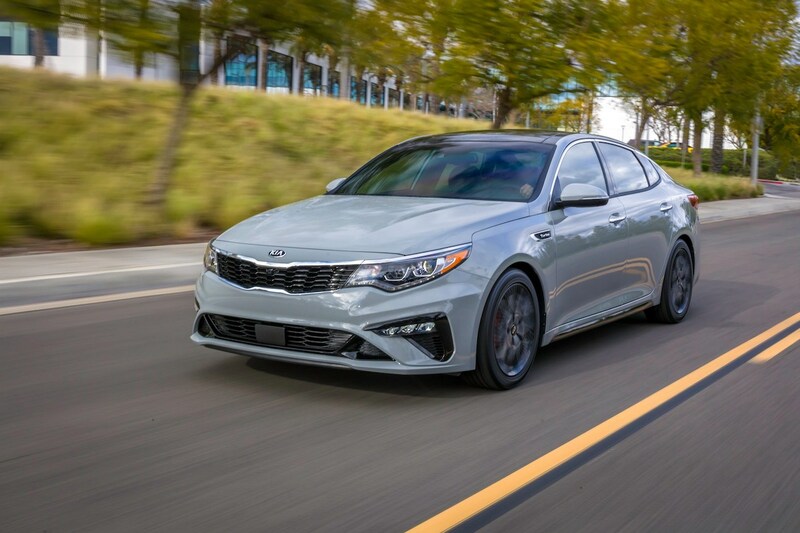 The top-trim Optima SX gets all of the EX's new features of course, and can be optioned with "European-style" dual-tone leather sport seats, Harman Kardon premium audio, a panoramic roof, and a bevy of aesthetic enhancements. Kia's Advanced Driver Assistance System now comes standard on every trim, making the new Optima safer and more clever. This assist suite comes equipped with Lane Keep Assist, Lane Departure Warning, Forward Collision Warning, Forward Collision-Avoidance Assist, and Driver Attention Warning. 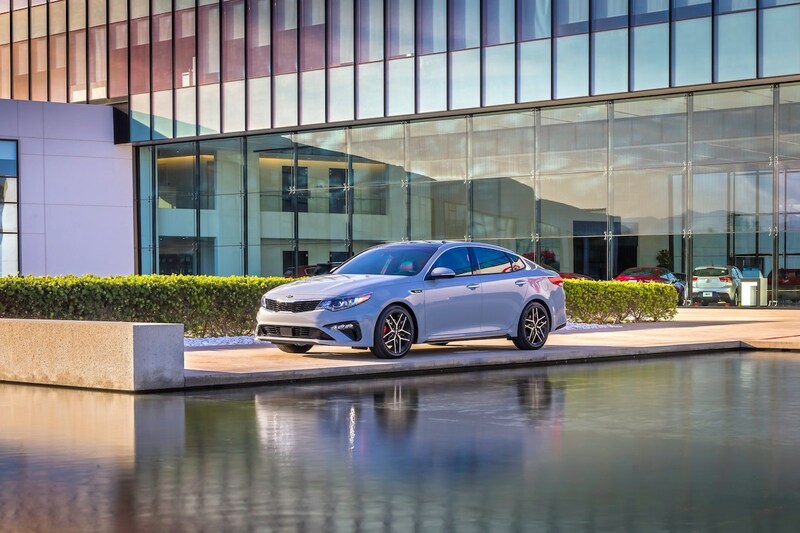 "The 2019 refresh sharpens the overall design inside and out and we are making a number of ADAS technologies standard across the entire Optima line, which underlies the tremendous value Optima offers," explained Orth Hedrick, vice president of Product Planning at Kia Motors America. Pricing will be announced at a later date, and the 2019 Optima will hit dealerships sometime later in the year.